This post is sponsored by affresh®. I received product and compensation, but all opinions are my own. My favorite season - fall - is here! Bring on the sweaters and pumpkins and falling leaves. We spent a lot of time this summer away from home. Most of that time was spent in the sand on the Jersey Shore but we also did a few family weekends away that included Washington, DC (such a great place for young kids!) and Sesame Place (where Oscar liked to look at but not come close to any of the characters).  We had a blast and made lots of great memories but all that time away has meant neglecting our home in Brooklyn. I'm glad we had a chance to spend time as a family but there is a bit of catching up to do to get settled back into the routines of autumn. (Anyone else dreading the evening homework shuffle?) Summer vacations behind us and school starting up again, I'm turning my attention back to the house and looking forward to all the wonderful things that autumn brings - school events, pumpkin picking and Halloween! With that in mind, it's the ideal time to put a little extra care into your home. 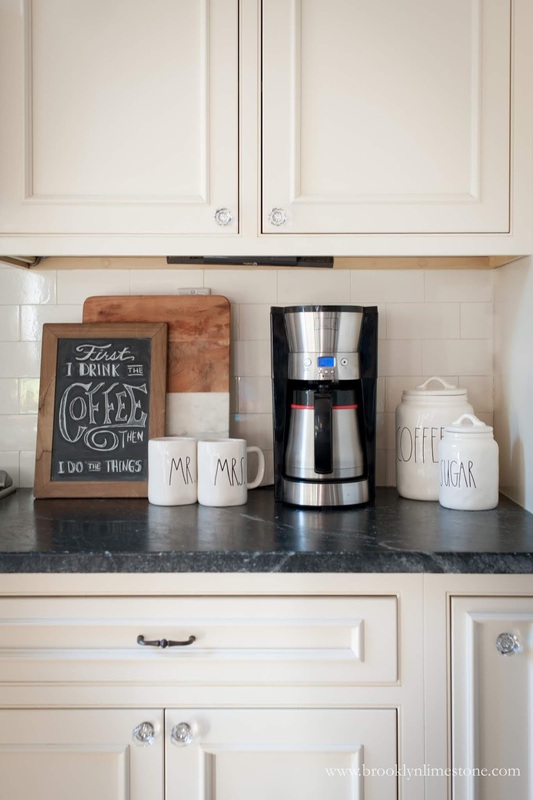 Here are a few fall home refresh tips. 1. 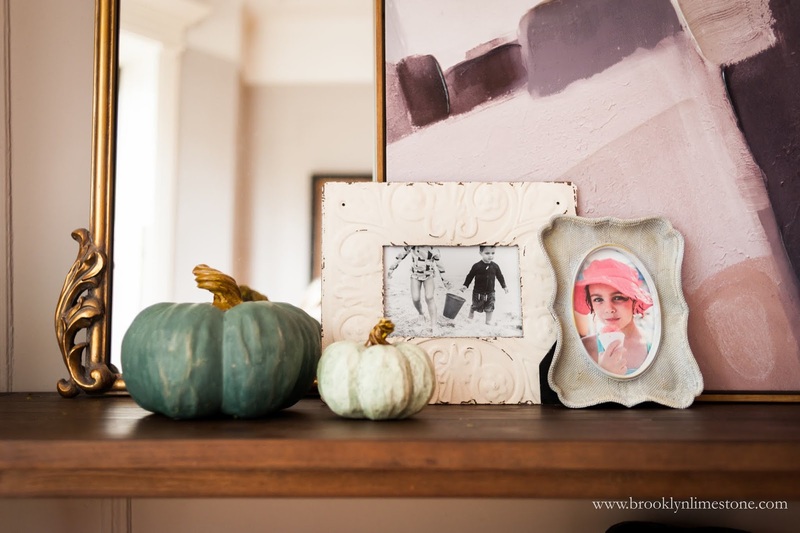 FRONT DOOR DECOR | September is the perfect time to take a look at your entry way and give it a little seasonal twist. Your front door greets you every time you return home so make it something that makes you happy. Start with removing any annual plants that might have lost their luster. Change out summer themed wreathes and door mats. 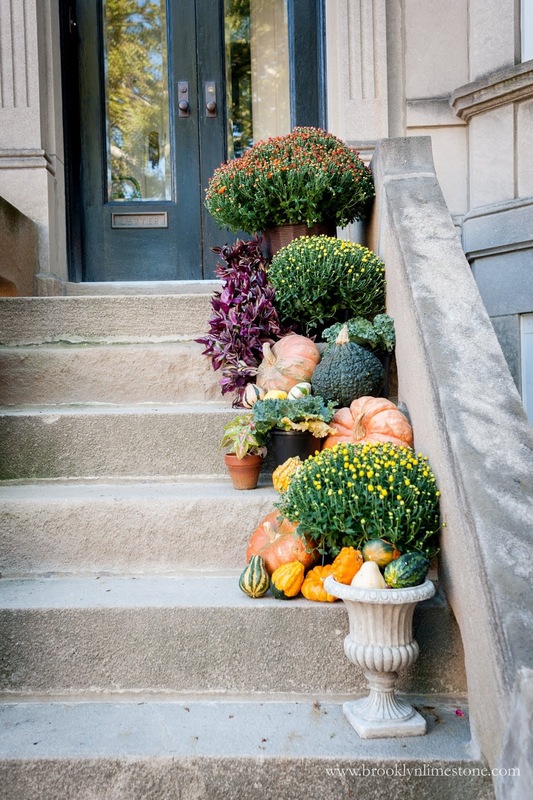 Add fall appropriate plants, gourds and door hangings. This can last you all the way to the start of winter so doing it September will allow you to get the most use of it. 2. CLEAN YOUR APPLIANCES | Now you've refreshed the outside, time to give some attention to your home appliances. 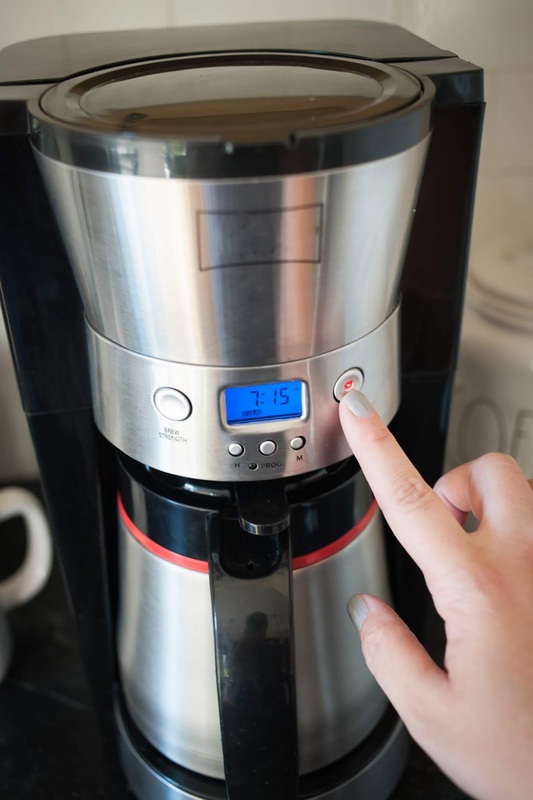 For me, the most used appliance in the house is the coffee maker. Thanks to a full time job, 2 kids who enjoy a pre-dawn wake-up, PTA obligations and everything in between, my life runs on caffeine. I know I am not alone! But I do admit I don't clean the coffee pot anywhere near as often as I should. I don't enjoy my house smelling like steamed vinegar so I put it off. 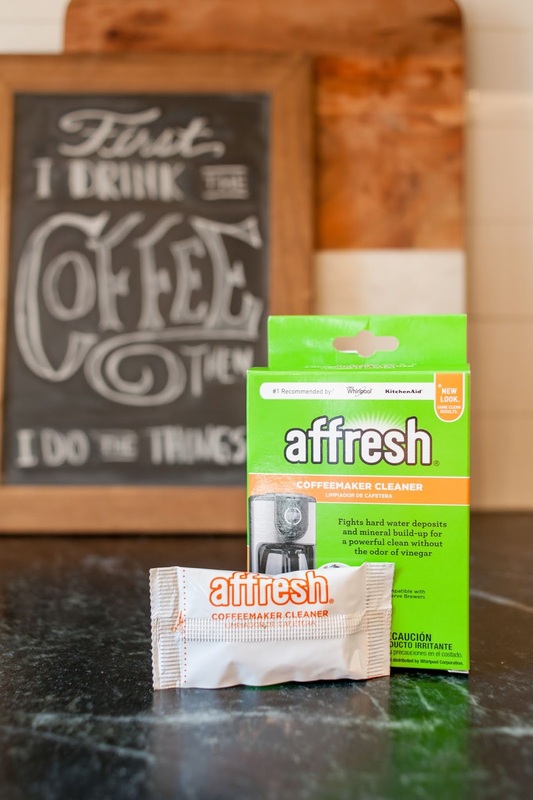 That's why I was so excited to partner with affresh® - they make specialized cleaning products that make getting your appliances clean easy and quick for an affordable price. 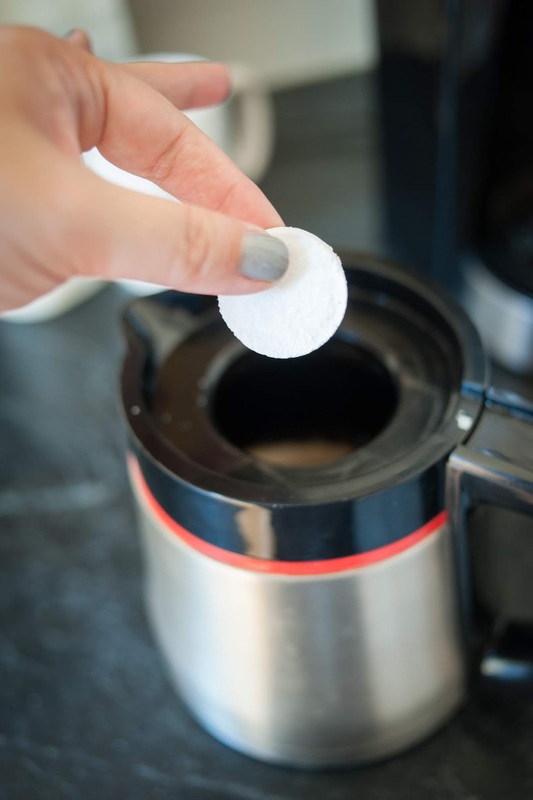 Of course I had to try the Coffeemaker Cleaner Tablets - a drop in tablet that does all the work without any of the smell. My coffee maker has a covered reservoir so I let the tablet dissolve (it's like a tiny bath bomb!) in the pot first and then poured the mixture in. (Follow the directions on the back of the box for your type of machine. ), Then I ran the brew cycle once with the mixture and once with plain water. No odor and a clean coffeemaker just in time for another steaming pot. Affresh® also has cleaning products for dishwashers, garbage disposals and washing machines. 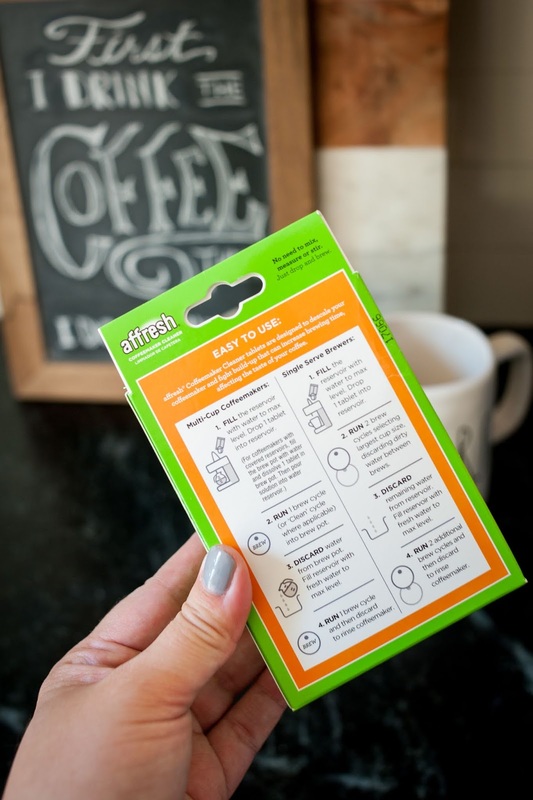 For a limited time affresh® is offering $1.00 off any one product; visit https://amzn.to/2ORBTSo to claim yours by using 1AFFRESHFALL. 3. STOCK THE PANTRY| What exactly is your fall menu is might vary but I like to make a grocery store run just to stock what I know I'll need ready for fall recipes. For us, that is hot cocoa and marshmallows, chicken stock for soups and stews, tomato paste and pasta for sauces and beans for chili and Pasta e Fagioli soup. Stocking up on these items now makes it so much easier to feed the family as we cook a lot more at home in the fall and winter months. This would also be a great time to start trying out a few inspirational recipes you might want to serve at upcoming holidays. 4. GET READY TO ENTERTAIN| As the temperatures drop and the nights get longer, we all move indoors to see our friends and family. Don't neglect to prepare for those visitors and save yourself the last minute run around at the holidays! If you have overnight guests, take stock of your linen closet and make sure you have extra sheets and blankets for those special people staying the night. This would also be a good time to pick up some local treats to share with those visitors at farmer's markets and local farms. If you like to throw dinner parties, make sure you are set with dishware, flatware and tablecloths (or use inexpensive craft paper as table runners instead to make clean up a breeze) . 6. PRINT YOUR SNAPS | If you are like me, you took hundreds of photos over the summer (and the spring and last winter) that live only in the digital ether. Take this time to pick your favorites and update a picture frame or two. Especially for those of us with small children, they change so much in just a year's time, make sure you are making use of those great snapshots. That's it! Once you have completed some of these back to the routine tasks, you'll be able to enjoy the magic of the very best season. Now sit back, have a cup of coffee and watch the leaves fall. Thanks for the tips. Especially about printing fresh photos. 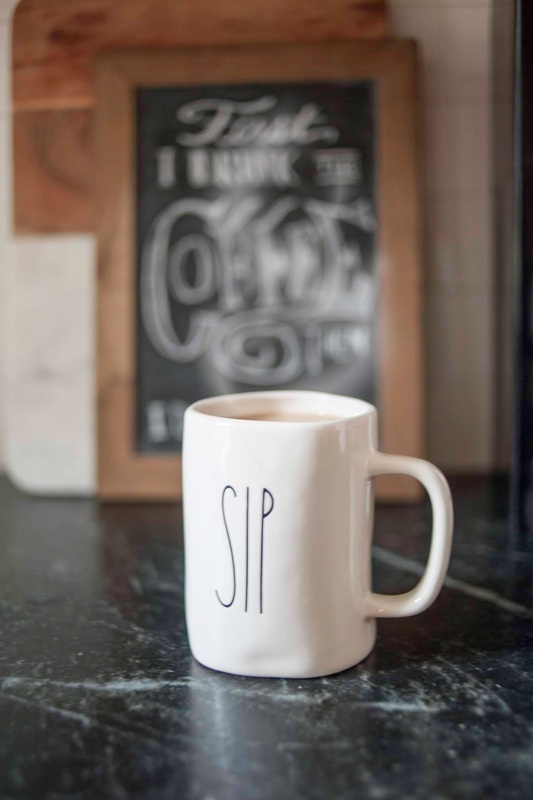 I was wondering where your mugs and canisters are from, they are really fun.